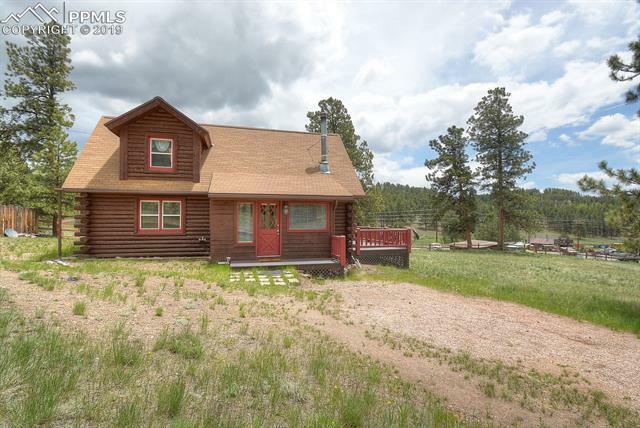 This cabin has everything you need to enjoy the mountains! Inside, you'll find oak floors, tongue and groove ceiling, oak cabinets & pine railings! The cozy woodstove has a stone hearth & backer with a curio shelf above. Kitchen has a breakfast bar. Loft can serve as a 2nd bedroom with skylights & built-in dresser/closet space. The great room walks out to an enclosed front porch as well as the expansive deck. Deck was just redone! Exterior has just been repainted and looks great! A split rail fence surrounds the property.